Armed Forces Construction is seeking qualified General Contractors to partner with on projects. Please contact us for more information. We are a full rehab construction company doing residential,commercial,and all VA, ADA, and bank repos. Our services are available throughout the Continental United States. 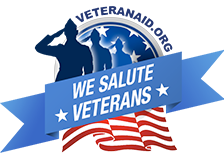 Tony Muriel, our CEO and Sam Crawford, the Operations Manager, have both served their country honorably in the Vietnam War, the Gulf Wars, and the Afghanistan War. Tony and Sam enable veterans to continue serving Americans through Armed Forces Construction. Tony Muriel, Sam Crawford, Sr.
Armed Forces Construction Group is veteran-owned and operated. Tony Muriel and Sam Crawford are committed to ensuring that veterans are gainfully employed and able to continue serving the American people. Armed Forces Construction Group © 2018. All Rights Reserved.